WELCOME to the Marianas Yacht Club. Our purpose and objectives are to provide safe well-regulated sporting events for pleasure sailing yachts, to promote a spirit of good fellowship among its members and all boating enthusiasts, to provide its members participation in the MYC's sailing activities achieved by MYC membership, to provide its members with social activities, to promote boat safety and pleasure yacht facilities and to arrange with local authorities to provide, if practical, berthing, launching, storage and repair facilities for members' yachts. See Club By-Laws for detailed description of membership privileges and fees. Application for Membership. Application for memberships may be picked up at the clubhouse, or click here Membership Applications for a printable application. Applications must be signed and submitted to the Board with appropriate initiation fee. Check with the membership chairman or a board member for the current initiation fee. Applications for membership must be approved by a quorum of the board of Directors at a regular or special meeting. Should the membership application not be approved, the initiation fee will be returned. Dues. Dues are payable quarterly, in advance. Reciprocal Membership Agreements. 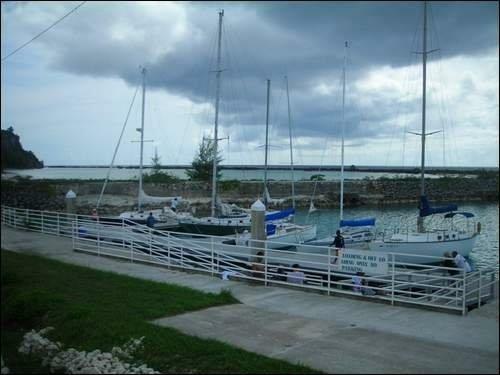 MYC maintains reciprocal agreements with other Yacht Clubs around the world. Members of such clubs are granted limited members privileges at the MYC while visiting Guam. Likewise, MYC members in good standing enjoy limited membership privileges at reciprocal clubs. Privileges vary from club to club. Before planning a voyage, members should check with clubs they plan to visit.